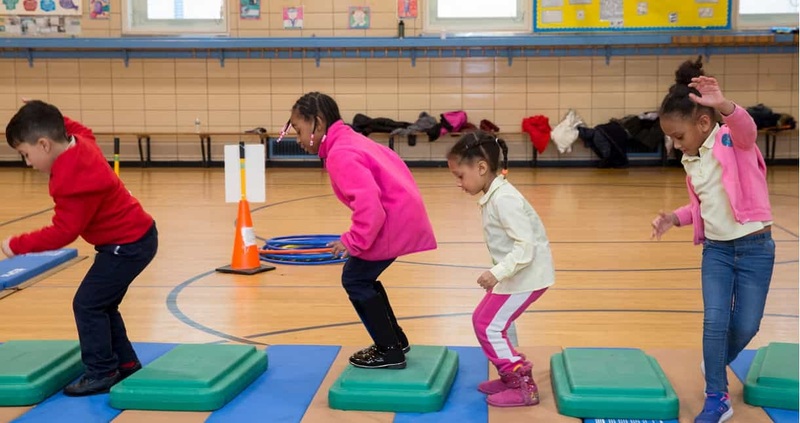 PE Works is a multi-year improvement plan, funded by City Hall, to revitalize Physical Education so that our students receive high-quality, standards-based PE according to State requirements. From 2015 to 2017, PE Works staff in the DOE's Office of School Wellness Programs assessed PE programming and instruction in each district public school. In 2017-18, PE Works staff began collaborative work with each school on action plans that will provide the assistance, resources, and planning required to create environments where PE thrives. Read more about PE Works through the United Federation of Teachers. Email peworks@schools.nyc.gov for additional information. PE Works Stories of Change feature principals and staff who are making changes so that PE is a meaningful part of each child’s school experience. Their work marks the beginning of developing a physically literate, health-centered generation of New York City students.